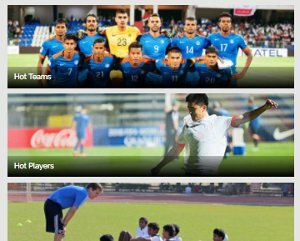 The 10th edition of the I-League was undoubtedly one of its best. 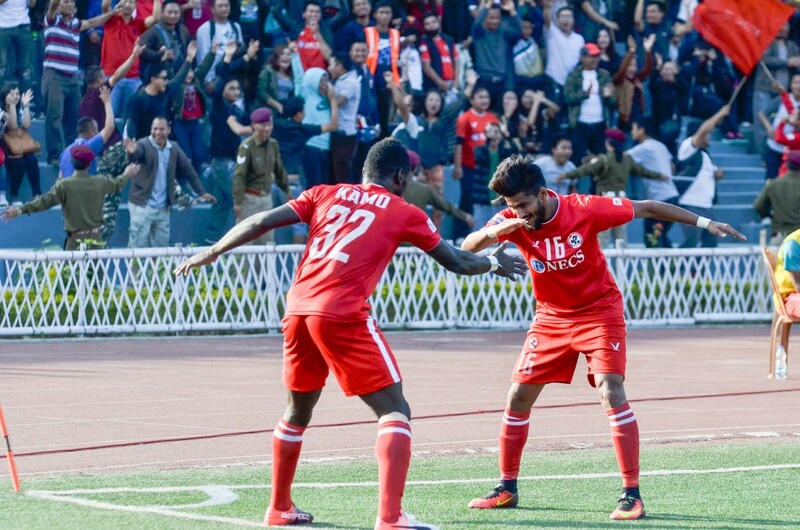 With more teams and pan-India representation, the campaign produced some exhilarating action aptly capped off by Aizawl FC's historic title win. Khel Now picks an XI of the stars who shone for their teams this season. It's a mouth-watering combination that will be a match for any team on their day. Fondly nicknamed ‘Savejit’ by Atletico de Kolkata and Mohun Bagan fans, Debjit Majumder has continued to impress both the pundits and the fanatics this season with a more than decent performance every week for the Mariners. The Mohun Bagan goalkeeper has appeared in 16 matches for the Kolkata giants this season, conceding 11 goals and keeping eight clean sheets. The Aizawl shot-stopper is being appreciated all over the country for his performances throughout the season which have helped the Mizoram-based team to accomplish an unbeaten record at home. The former Mumbai FC goalkeeper has featured in 17 games for the north eastern club, conceding 13 goals and keeping eight clean sheets in the process. The Nigerian full-back made his debut for Aizawl FC against East Bengal on 7th January 2017. Since then, he has emerged as one of the most dependable figures in Aizawl’s defensive line-up. The former Peerless full-back has played 16 times in Aizawl’s maiden I-League triumph this year, keeping an undefeated record at home. The Delhi Dynamos defender signed for Kolkata giants Mohun Bagan at the beginning of this season and has been nothing short of an inspiration in Mohun Bagan’s defence. One of the most underrated central defenders currently in India, Edathodika has proved to be a bargain for the Kolkata outfit with his defensive skills in an injury prone and leaky Mohun Bagan defence. Edathodika has played 16 games for the Green and Maroons, helping them to the runners’ up position in the 10th edition of the I-League. The 29-year old ball playing defender played an integral part in Aizawl’s I-League campaign this year, playing all 18 games. The former DSK Shivajians man was arguably the best man on the pitch against league giants Mohun Bagan, East Bengal and Bengaluru FC and has emerged as an inspiring figure for the young centre-backs of this generation. Khan emerged as a talisman for the returning Churchill Brothers. Adil Khan emerged as one of the most dependable characters on the field as well as a leader for a comparatively inexperienced Churchill Brothers side. The defender has played 17 games for the Goan outfit, scoring two goals. Despite Churchill Brothers having a comparatively poor season in the 10th edition of the I-League, the 25-year old had played an important role for the Red Machines defence. Deputy to Adil Khan to the heart of the defence, Almeida broke down numerous counter-attacks and has featured in 17 league games for the Goan outfit despite his injury. One of the most matured young defenders this season compared to the season before, Lalrinzuala has been an apt example of a modern full-back. The teenage defender has made a name for himself while going forward and tracking back to the defence to intercept counter-attacks. He has started in all 18 matches for DSK Shivajians in the league this season and displayed some breathtaking performances for his club. 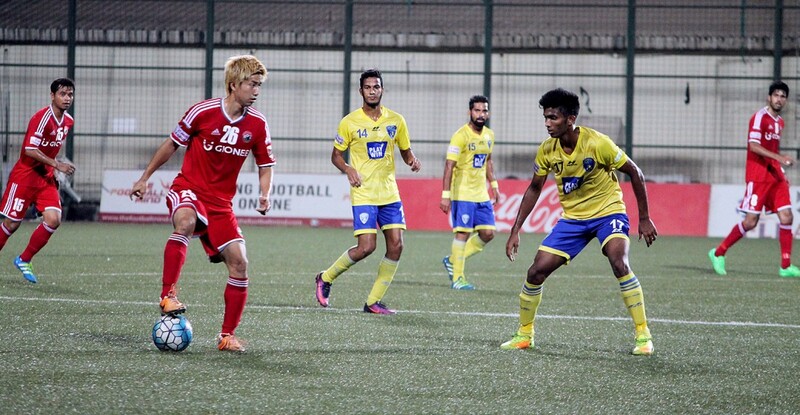 Kinowaki impressed in midfield for Shillong Lajong. The highly rated Japanese footballer caught everybody’s eye on Sunday when he featured in the Lajong team against Aizawl FC in the last game of I-League 2016-17. One of the few versatile foreign players in the country, Kinowaki has been deployed as a holding midfielder, a right- back as well as in a much-advanced role of a box-to-box midfielder this season. The Japanese maestro has made 17 appearances for his club and has scored two goals this season. The Syrian midfielder attracted a lot of attention when he signed for Aizawl FC in the beginning of the season. Since then, the veteran midfielder has been an influential part of the Aizawl team that won the I-League last night. Amnah played a breathtaking role in the centre of the park for the Reds, distributing key passes to the forwards as well as making solo runs on the ball himself. The 34-year old has appeared 15 times for his club this season, registering two goals to his name. In the 1311 minutes of playing time, the Syrian midfield maestro has picked up two yellow cards but that hasn't stopped him from helping his side achieve a magnificent feat at the end of the season. Naturally a right winger, the Japanese footballer has been deployed several times in the centre of the park where he has displayed wonderful performances. Nothing less than a powerhouse on the pitch, Yusa has scored four goals in his 18 league appearances for Mohun Bagan this year. The highly rated Bengaluru FC youngster already has started to be part of newspaper headlines in the country for his impressive season with the former champions. The 20-year old versatile winger has displayed one of the most beautiful playmaking abilities in the league this season which got him the attention of scouts this season. The Manipur-born winger has started 16 times for Bengaluru FC, scoring two goals for his club. One of the most solid Indian full-backs, Kotal has cemented his place in the Mohun Bagan team for both his attacking and defending prowess which has led him to score a goal and assisting the Bagan forwards to goals on different occasions. Playing all 18 games, Kotal has proved himself to be one of the fittest players in the Green and Maroons squad. The Bengaluru FC skipper played an instrumental part reviving his team from a disastrous run of games in the I-League 2016-17. A former Major League Soccer player, Chhetri played a second fiddle to the lone striker Daniel (later Jugovic). Chhetri has made 16 appearances for his club this season, scoring seven goals of which several helped his side to secure important points on different occasions. Chhetri has a goal per 204 minutes ratio, which helped Bengaluru FC turn their difficult patch of form back into a more positive one. Mohun Bagan’s Scottish marksman has had a decent season for the Kolkata giants where he netted the ball eight times in 17 appearances for the club. The forward has proved himself to be an excellent header in front of the goal and his poaching instincts have led him towards attentions from pundits throughout the country. 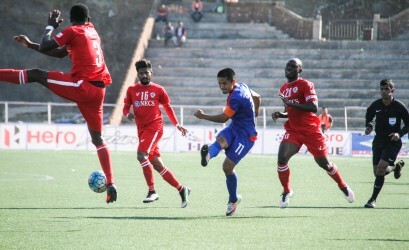 Rane was one of the stars of Aizawl's title triumph. 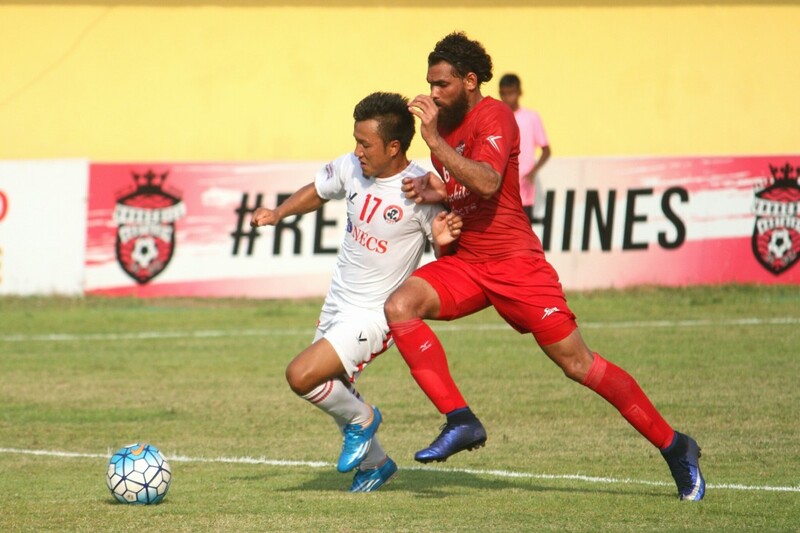 The 24-year old forward joined Aizawl FC in the beginning of the season from Mumbai FC and has emerged as an instant hit for the Reds since then. Not particularly a goal machine, but the Mumbaikar has made a name for himself for his playmaking abilities and has caught the eyes of football fans across the country this season. The playmaker has started 17 times for the current league champions, scoring twice in the process. The 22-year old midfielder has fulfilled all expectations on him true as he scored three times in 15 appearances this year for Churchill Brothers. 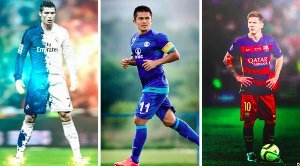 At times, the young attacking midfielder has emerged as the only shining jolt in the Churchill squad, getting the attentions of several Indian giants over him. The young prodigy has a goal per 381 minutes which has helped Churchill secure important points in their league campaign this year. A name that needs no introduction to the Indian football fans currently as Dicka emerged as the highest scorer of the recently concluded I-League season. The Cameroonian marksman featured 17 times for his side Shillong Lajong FC this season, scoring on 11 different occasions with a ratio of 136 minutes per goal. 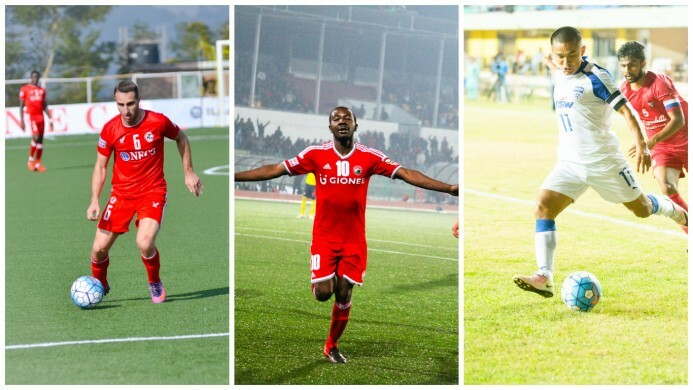 The highly rated striker helped secure Shillong Lajong several home and away points this season and in the process, became the most sought after striker in the country. The Trinidad & Tobago frontman has had an impressive debut season in the recently concluded I-League where he scored nine goals from 14 outings with a 126 minutes per goal ratio, which is the best in the league. Plaza helped East Bengal with important goals which helped them to the third position at the end of the league. The former Mumbai FC head coach took charge of a rather sinking ship of Aizawl FC just before the season started. In his debut season in charge of the Mizoram club, Jamil has achieved the virtually impossible feat of winning the I-League with a team that had been relegated the season before. Winning his maiden I-League title, Jamil also became the youngest ever coach to win the title, that too with a shoestring budget.